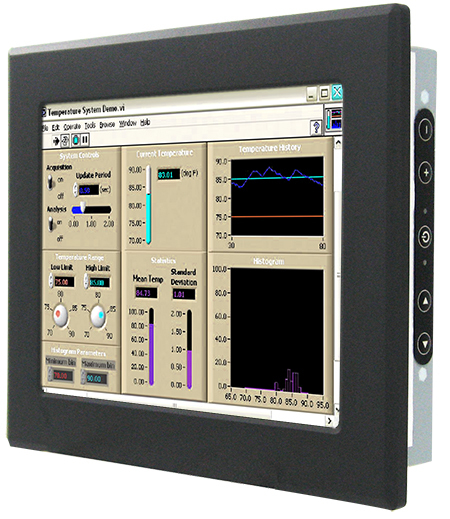 Winmate industrial panel PCs are designed to be elegant and simple, with various type of housing options to fit many industrial applications. One thing that sets Winmate Panel PC apart is that it is one of the first Panel PC with Intel’s new "Bay Trail" processor. For this new Panel PCs, we have selected the Celeron N2920, a Quad-core processor running at 1.86 GHz (up to 2.0 GHz). The processor is Intel’s next-gen "Bay Trail" platform that uses 22nm process technology and represents the first major advance in Atom microprocessor architecture. According to Rugged PC Review, Bay Trail chips, which include up to four Silvermont cores, offer another first in ultra-mobile Intel SoC (System on Chip)—they include Intel's own graphics processor technology, leveraging the same HD 4000 GPU architecture as is used in Intel's 3rd generation "Ivy Bridge" Core processors, albeit in a less powerful implementation with fewer execution units and lower GPU clock speeds. This inclusion of graphics processor means the "Bay Trail" platform can outperform its predecessor graphically with much lower power consumption. Bay Trail supports DirectX 11, OpenGL 4.0 (and OpenGL ES 3.0 on mobile, provided the drivers support it), and OpenCL 1.2 on the API side, and full 1080p video on HDMI.